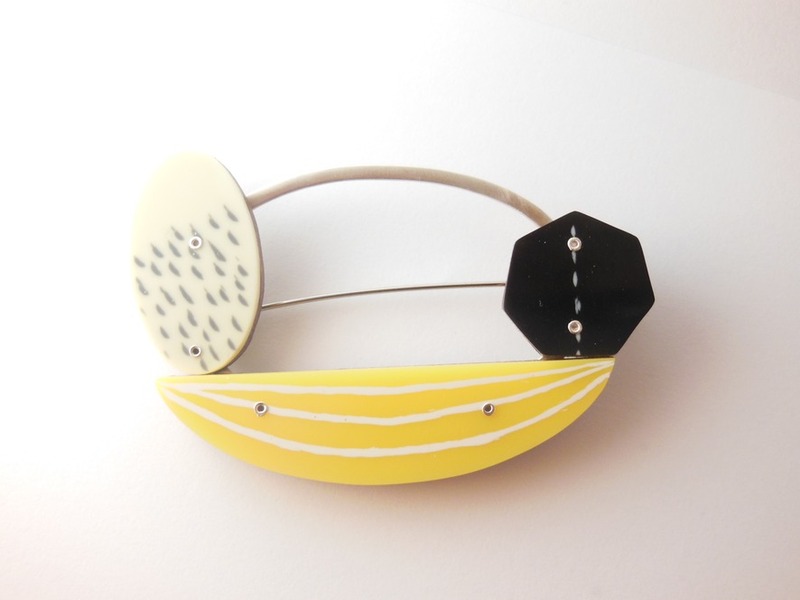 I am a Bristol based Japanese jeweller who graduated from the Royal College of art in 2002. Since then I have mixed full-time parenthood with my jewellery business exhibiting and retailing work throughout the UK. Colour and pattern are at the heart of all pieces with fifties and sixties, nature-based textiles, illustration and graphics forming a significant inspiration - together with a love for plants, gardening and organic forms. With resins, synthetics and silver as core materials and (in recent years) - wood as well - my pieces often reflect natural landscapes and shapes. 2013 sees a significantly expanded and more detailed collection: Autumnal brooches of oxidised silver and wood: Abstract necklaces of resin and silver and earrings to match.